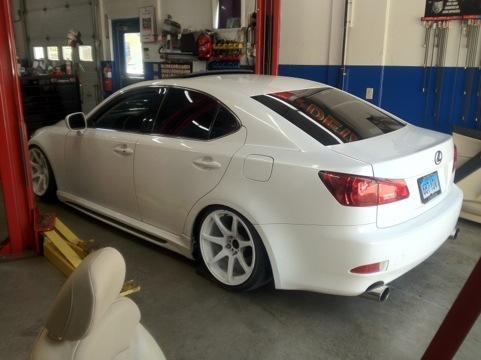 Customer from Connecticut brought down his slammed 2006 Lexus IS250 to install a new F-Sport Exhaust. It was a fun job, and great product to say the least. Also, we discovered his rear tire only had 10psi. We filled them up for a safe four hour drive home.